Spread national pride with the precious, newborn babies in your nursery with our Red, White & Blue Hat and Sock Set. This pairs our adorable Red, White & Blue Striped Hat with our USA Keepsake Socks. 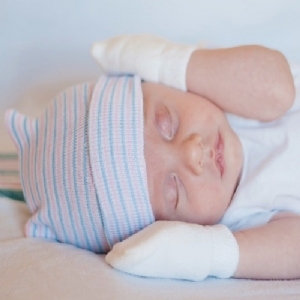 The newborn hospital hat is available in both single-ply and two-ply. For the socks, choose between our bubble or ankle newborn socks. Adorable red,white and blue hat and USA booties!